This article is about the laundry-cleaning apparatus. For the Sonic Youth album, see Washing Machine (album). Not to be confused with Dishwasher. A washing machine (laundry machine, clothes washer, or washer) is a machine used to wash laundry, such as clothing and sheets. The term is mostly applied to machines that use water as opposed to dry cleaning (which uses alternative cleaning fluids, and is performed by specialist businesses) or ultrasonic cleaners. Laundering by hand involves soaking, beating, scrubbing, and rinsing dirty textiles. Before indoor plumbing, the housewife also had to carry all the water used for washing, boiling, and rinsing the laundry; according to an 1886 calculation, women fetched water eight to ten times every day from a pump, well, or spring. Water for the laundry would be hand carried, heated on a fire for washing, then poured into the tub. That made the warm soapy water precious; it would be reused, first to wash the least soiled clothing, then to wash progressively dirtier laundry. Removal of soap and water from the clothing after washing was originally a separate process. First soap would be rinsed out with clear water. After rinsing, the soaking wet clothing would be formed into a roll and twisted by hand to extract water. The entire process often occupied an entire day of hard work, plus drying and ironing. Clothes washer technology developed as a way to reduce the manual labor spent, providing an open basin or sealed container with paddles or fingers to automatically agitate the clothing. The earliest machines were hand-operated and constructed from wood, while later machines made of metal permitted a fire to burn below the washtub, keeping the water warm throughout the day's washing. The earliest special-purpose washing device was the washboard, invented in 1797. By the mid-1850s, steam-driven commercial laundry machinery were on sale in the UK and US. Technological advances in machinery for commercial and institutional washers proceeded faster than domestic washer design for several decades, especially in the UK. In the United States there was more emphasis on developing machines for washing at home, though machines for commercial laundry services were widely used in the late 19th and early 20th centuries. The rotary washing machine was patented by Hamilton Smith in 1858. As electricity was not commonly available until at least 1930, some early washing machines were operated by a low-speed, single-cylinder hit-and-miss gasoline engine. After the items were washed and rinsed, water had to be removed by twisting. To help reduce this labor, the wringer/mangle machine was developed. The mangle used two rollers under spring tension to squeeze water out of clothing and household linen. Each laundry item would be fed through the wringer separately. The first wringers were hand-cranked, but were eventually included as a powered attachment above the washer tub. The wringer would be swung over the wash tub so that extracted wash water would fall back into the tub to be reused for the next load. As implied by the term "mangle," these early machines were quite dangerous, especially if powered and not hand-driven. A user's fingers, hand, arm, or hair could become entangled in the laundry being squeezed, resulting in horrific injuries; unwary bystanders, such as children, could also be caught and hurt. Safer mechanisms were developed over time, and the more hazardous designs were eventually outlawed. The modern process of water removal by spinning did not come into use until electric motors were developed. Spinning requires a constant high-speed power source, and was originally done in a separate device known as an "extractor". A load of washed laundry would be transferred from the wash tub to the extractor basket, and the water spun out in a separate operation. These early extractors were often dangerous to use, since unevenly distributed loads would cause the machine to shake violently. Many efforts were made to counteract the shaking of unstable loads, such as mounting the spinning basket on a free-floating shock-absorbing frame to absorb minor imbalances, and a bump switch to detect severe movement and stop the machine so that the load could be manually redistributed. What is now referred to as an automatic washer was at one time referred to as a "washer/extractor", which combines the features of these two devices into a single machine, plus the ability to fill and drain water by itself. It is possible to take this a step further, and to also merge the automatic washing machine and clothes dryer into a single device, called a combo washer dryer. The first English patent under the category of Washing and Wringing Machines was issued in 1691. A drawing of an early washing machine appeared in the January 1752 issue of "The Gentlemen's Magazine", a British publication. Jacob Christian Schäffer's washing machine design was published 1767 in Germany. In 1782, Henry Sidgier issued a British patent for a rotating drum washer, and in the 1790s Edward Beetham sold numerous "patent washing mills" in England. One of the first innovations in washing machine technology was the use of enclosed containers or basins that had grooves, fingers, or paddles to help with the scrubbing and rubbing of the clothes. The person using the washer would use a stick to press and rotate the clothes along the textured sides of the basin or container, agitating the clothes to remove dirt and mud. This crude agitator technology was hand-powered, but still more effective than actually hand-washing the clothes. More advancements were made to washing machine technology in the form of the rotating drum design. Basically, these early design patents consisted of a drum washer that was hand-cranked to make the wooden drums rotate. While the technology was simple enough, it was a milestone in the history of washing machines, as it introduced the idea of "powered" washing drums. As metal drums started to replace the traditional wooden drums, it allowed for the drum to turn above an open fire or an enclosed fire chamber, raising the water temperature for more effective washes. It would not be until the 19th century when steam power would be used in washing machine designs. In 1862, a patented "compound rotary washing machine, with rollers for wringing or mangling" by Richard Lansdale of Pendleton, Manchester, was shown at the 1862 London Exhibition. The first United States Patent titled "Clothes Washing" was granted to Nathaniel Briggs of New Hampshire in 1797. Because of the Patent Office fire in 1836, no description of the device survives. A device that combined a washing machine with a wringer mechanism did not appear until 1843, when Canadian John E. Turnbull of Saint John, New Brunswick patented a "Clothes Washer With Wringer Rolls." Margaret Colvin invented the Triumph Rotary Washer, which was exhibited in the Women's Pavilion at the Centennial International Exhibition of 1876 in Philadelphia. Electric washing machines were advertised and discussed in newspapers as early as 1904. Alva J. Fisher has been incorrectly credited with the invention of the electric washer. The US Patent Office shows at least one patent issued before Mr. Fisher's US patent number 966677 (e.g. Woodrow's US patent number 921195). The "inventor" of the electric washing machine remains unknown. US electric washing machine sales reached 913,000 units in 1928. However, high unemployment rates in the Depression years reduced sales; by 1932 the number of units shipped was down to about 600,000. The first laundromat opened in Fort Worth, Texas in 1934. [dubious – discuss] It was run by Andrew Clein. Patrons used coin-in-the-slot facilities to rent washing machines. The term "laundromat" can be found in newspapers as early as 1884 and they were widespread during the Depression. It is almost impossible to determine who had the first laundromat. [contradiction] England established public wash rooms for laundry along with bath houses throughout the 19th century. Washer design improved during the 1930s. The mechanism was now enclosed within a cabinet, and more attention was paid to electrical and mechanical safety. Spin dryers were introduced to replace the dangerous power mangle/wringers of the day. By 1940, 60% of the 25,000,000 wired homes in the United States had an electric washing machine. Many of these machines featured a power wringer, although built-in spin dryers were not uncommon. Bendix Corporation introduced the first automatic washing machine in 1937,[not in citation given] having applied for a patent in the same year. In appearance and mechanical detail, this first machine is not unlike the front loading automatic washers produced today. Although it included many of the today's basic features, the machine lacked any drum suspension and therefore had to be anchored to the floor to prevent "walking". Many of the early automatic machines had coin-in-the-slot facilities and were installed in the basement laundry rooms of apartment houses. Early automatic washing machines were usually connected to a water supply via temporary slip-on connectors to sink taps. Later, permanent connections to both the hot and cold water supplies became the norm, as dedicated laundry water hookups became common. Most modern front-loading European machines now only have a cold water connection (called "cold fill") and rely completely on internal electric heaters to raise the water temperature. After the attack on Pearl Harbor, US domestic washer production was suspended for the duration of the rest of World War II in favor of manufacturing war materiel. However, numerous US appliance manufacturers were given permission to undertake the research and development of washers during the war years. Many took the opportunity to develop automatic machines, realizing that these represented the future for the industry. A large number of US manufacturers introduced competing automatic machines (mainly of the top-loading type) in the late 1940s and early 1950s. An improved front-loading automatic model, the Bendix Deluxe (which retailed at $249.50/£162.40), was introduced in 1947. General Electric also introduced its first top loading automatic model in 1947. This machine had many of the features that are incorporated into modern machines. Several manufacturers produced semi-automatic machines, requiring the user to intervene at one or two points in the wash cycle. A common semi-automatic type (available from Hoover in the UK until at least the 1970s) included two tubs: one with an agitator or impeller for washing, plus another smaller tub for water extraction or centrifugal rinsing. One early form of automatic washing machine manufactured by Hoover used cartridges to program different wash cycles. This system, called the "Keymatic", used plastic cartridges with key-like slots and ridges around the edges. The cartridge was inserted into a slot on the machine and a mechanical reader operated the machine accordingly. The system did not commercially succeed because it offered no real advantage over the more conventional program dial, and the cartridges were prone to getting lost. In hindsight it can be seen as a marketing gimmick rather than offering any really useful functionality. Since their introduction, automatic washing machines have relied on electromechanical timers to sequence the washing and extraction process. Electromechanical timers consist of a series of cams on a common shaft driven by a small electric motor via a reduction gearbox. At the appropriate time in the wash cycle, each cam actuates a switch to engage or disengage a particular part of the machinery (for example, the drain pump motor). On the early electromechanical timers, the motor ran at a constant speed throughout the wash cycle, although it was possible for the user to truncate parts of the program by manually advancing the control dial. However, by the 1950s demand for greater flexibility in the wash cycle led to the introduction of more sophisticated electrical timers to supplement the electromechanical timer. These newer timers enabled greater variation in functions such as the wash time. With this arrangement, the electric timer motor is periodically switched off to permit the clothing to soak, and is only re-energized just prior to a micro-switch being engaged or disengaged for the next stage of the process. Fully electronic timers did not become widespread until decades later. Despite the high cost of automatic washers, manufacturers had difficulty in meeting the demand. Although there were material shortages during the Korean War, by 1953 automatic washing machine sales in the US exceeded those of wringer-type electric machines. In the UK and in most of Europe, electric washing machines did not become popular until the 1950s. This was largely because of the economic impact of World War II on the consumer market, which did not properly recover until the late 1950s. The early electric washers were single-tub, wringer-type machines, as fully automatic washing machines were extremely expensive. During the 1960s, twin tub machines briefly became very popular, helped by the low price of the Rolls Razor washers. Some machines had the ability to pump used wash water into a separate tub for temporary storage, and to later pump it back for re-use. This was done not to save water or soap, but because heated water was expensive and time-consuming to produce. Automatic washing machines did not become dominant in the UK until well into the 1970s and by then were almost exclusively of the front-loader design. In early automatic washing machines, any changes in impeller/drum speed were achieved by mechanical means or by a rheostat on the motor power supply. However, since the 1970s electronic control of motor speed has become a common feature on the more expensive models. In the early 1990s, upmarket machines incorporated microcontrollers for the timing process. These proved reliable and cost-effective, so many cheaper machines now incorporate microcontrollers rather than electromechanical timers. In 1994, Staber Industries released the System 2000 washing machine, which is the only top-loading, horizontal-axis washer to be manufactured in the United States. The hexagonal tub spins like a front-loading machine, only using about third of the water as conventional top-loaders. This factor has led to an Energy Star rating for its high efficiency. In 1998, New Zealand based company Fisher & Paykel introduced its SmartDrive washing machine line in the US. This washing machine uses a computer-controlled system to determine certain factors such as load size and automatically adjusts the wash cycle to match. It also used a mixed system of washing, first with the "Eco-Active" wash, using a low level of recirculated water being sprayed on the load followed by a more traditional style wash. Other variations include the Intuitive Eco, which can sense the water level and type of fabric in the wash load, and the agitatorless AquaSmart line. The SmartDrive also included direct drive brushless DC electric motor, which simplified the bowl and agitator drive by doing away with the need for a gearbox system. In 2000, the British inventor James Dyson launched the CR01 ContraRotator, a type of washing machine with two cylinders rotating in opposite directions. It was claimed that this design reduced the wash time and produced cleaner washing than a single cylinder machine. In 2004 there was the launch of the CR02, which was the first washing machine to gain the British Allergy Foundation Seal of Approval. However, neither of the ContrRotator machines are now in production as they were too expensive to manufacture. In 2001, Whirlpool Corporation introduced the Calypso, the first vertical-axis high efficiency washing machine to be top-loading. A washplate in the bottom of the tub nutated (a special wobbling motion) to bounce, shake, and toss the laundry around. Simultaneously, water containing detergent was sprayed on to the laundry. The machine proved to be good at cleaning, but gained a bad reputation due to frequent breakdowns and destruction of laundry. The washer was recalled with a class-action lawsuit and pulled off the market. In 2007, Sanyo introduced the first drum type washing machine with "Air Wash" function. This washing machine uses only 50 liters of water in the recycle mode. In 2008, the University of Leeds created a concept washing machine that uses only a cup (less than 300 ml) of water and 20 kg of re-usable plastic chips to carry out a full wash. The machine leaves clothes virtually dry, and uses less than 2 % of the water and energy otherwise used by a conventional machine. As such, it could save billions of liters of water each year. The concept is being developed as the Xeros Washing Machine. The top-loading or vertical-axis clothes washer is most popular in Australia, New Zealand, Canada, the United States, and Latin America. Simplified, very-low-cost versions are made for markets in Asia, Africa, and other less-developed parts of the world. In most top-loading washers, if the motor spins in one direction, the gearbox drives the agitator; if the motor spins the other way, the gearbox locks the agitator and spins the basket and agitator together. Similarly, if the pump motor rotates one way it recirculates the sudsy water; in the other direction it pumps water from the machine during the spin cycle. Because they usually incorporate a gearbox, clutch, crank, etc., top-loading washers are mechanically more complex than front loading machines. An example of the complex mechanisms once used to produce different motions from a single motor is the so-called "wig wag" mechanism, which was used for decades until modern controls rendered it obsolete. The electromechanical components in conventional top-load washers have largely reached maturity, and there is a trend towards simpler mechanical components but greater complexity in electronic controllers. The top-loader's spin cycle between washing and rinsing allows an extremely simple fabric softener dispenser, which operates passively through centrifugal force and gravity. The same objective must be accomplished by a solenoid valve on a front loader. Another advantage to the top loading design is the reliance on gravity to contain the water, rather than potentially trouble-prone or short-lived front door seals. Top loaders may require less periodic maintenance, since there is no need to clean a door seal or bellows, although a plastic tub may still require a periodic "maintenance wash" cycle (described below). As with front-loading washers, clothing should not be packed tightly into a top-loading washer. Although wet fabric usually fits into a smaller space than dry fabric, a dense wad of fabric can restrict water circulation, resulting in poor soap distribution and incomplete rinsing. Extremely overloaded top-loading washers can either jam the motion of the agitator, overloading or damaging the motor or gearbox, or tearing fabrics. Extreme overloading can also push fabrics into the small gap between the underside of the agitator and the bottom of the wash basket, resulting in fabrics wrapped around the agitator shaft, possibly requiring agitator removal to unjam. The front-loading or horizontal-axis clothes washer is the dominant design in Europe, the Middle East, Asia, Africa, and much of the rest of the world. In the U.S. and elsewhere, most "high-end" washing machines are of this type. In addition, most commercial and industrial clothes washers around the world are of the horizontal-axis design. Front-loading washers are mechanically simple compared to top-loaders, with the main motor (a universal motor or variable-frequency drive motor) normally being connected to the drum via a grooved pulley belt and large pulley wheel, without the need for a gearbox, clutch or crank. But front-load washers suffer from their own technical problems, due to the drum lying sideways. For example, a top loading washer keeps water inside the tub merely through the force of gravity pulling down on the water, while a front-loader must tightly seal the door shut with a gasket to prevent water dripping onto the floor during the wash cycle. This access door is locked shut during the entire wash cycle, since opening the door with the machine in use could result in water gushing out onto the floor. For front-loaders without viewing windows on the door, it is possible to accidentally pinch fabric between the door and the drum, resulting in tearing and damage to the pinched clothing during tumbling and spinning. Nearly all front-loader washers for the consumer market must also use a folded flexible bellows assembly around the door opening, to keep clothing contained inside the basket during the tumbling wash cycle. If this bellows assembly were not used, small articles of clothing such as socks could slip out of the wash basket near the door, and fall down the narrow slot between the outer tub and basket, plugging the drain and possibly jamming rotation of the inner basket. Retrieving lost items from between the outer tub and inner basket can require complete disassembly of the front of the washer and pulling out the entire inner wash basket. Commercial and industrial front-loaders used by businesses (described below) usually do not use the bellows, and instead require all small objects to be placed in a mesh bag to prevent loss near the basket opening. There are also combo washer dryer machines that combine washing cycles and a full drying cycle in the same drum, eliminating the need to transfer wet clothes from a washer to a dryer machine. In principle, these machines are convenient for overnight cleaning (the combined cycle is considerably longer), but the effective capacity for cleaning larger batches of laundry is drastically reduced. The drying process tends to use much more energy than using two separate devices, because a combo washer dryer not only must dry the clothing, but also needs to dry out the wash chamber itself. These machines are used more in Europe, because they can be fitted into small spaces, and many can be operated without dedicated utility connections. Efficient cleaning: Front-loaders usually use less energy, water, and detergent compared to the best top-loaders. "High Efficiency" washers use 20% to 60% of the detergent, water and energy of "standard" washers. They usually take somewhat longer (20–110 minutes) to wash a load, but are often computer controlled with additional sensors, to adapt the wash cycle to the needs of each load. As this technology improves, the human interface will also improve, to make it easier to understand and control the many different cleaning options. Water usage: Front-loaders usually use less water than top-loading residential clothes washers. Estimates are that front-loaders use from one third to one half as much water as top-loaders. Spin-dry effectiveness: Front-loaders (and European horizontal axis top loaders) offer much higher maximum spin speeds of up to 2000 RPM, although home machines tend to be in the 1000 to 1400 RPM range, while top-loaders (with agitators) do not exceed 1140 RPM. High-efficiency top-loaders with a wash plate (instead of an agitator) can spin up to 1100 RPM, as their center of gravity is lower. Higher spin speeds remove much more residual water, making clothes dry faster. This also reduces time and energy if clothes are dried in a clothes dryer. German laundry centrifuge extracts water from laundry. The advent of automatic washing machines with spin cycles made such specialized appliances largely obsolete by the 1970s. Many front loading machines have internal electrical heating elements to heat the wash water, to near boiling if desired. The rate of chemical cleaning action of the detergent and other laundry chemicals increases greatly with temperature, in accordance with the Arrhenius equation. Washing machines with internal heaters can use special detergents formulated to release different chemical ingredients at different temperatures, allowing different type of stains and soils to be cleaned from the clothes as the wash water is heated up by the electrical heater. However, higher-temperature washing uses more energy, and many fabrics and elastics are damaged at higher temperatures. Temperatures exceeding 40 °C have the undesirable effect of inactivating the enzymes when using biological detergent. Washing machines perform several rinses after the main wash to remove most of the detergent. Modern washing machines use less water due to environmental concerns; however, this has led to the problem of poor rinsing on many washing machines on the market, which can be a problem to people who are sensitive to detergents. The Allergy UK website suggests re-running the rinse cycle, or rerunning the entire wash cycle without detergent. In response to complaints, many washing machines allow the user to select additional rinse cycles, at the expense of higher water usage and longer cycle time. In 1976, most front loading washing machines spun at around 700 rpm, or less. Separate spin-driers, without washing functionality, are available for specialized applications. For example, a small high-speed centrifuge machine may be provided in locker rooms of communal swimming pools to allow wet swimsuits to be substantially dried to a slightly damp condition after daily use. A maintenance wash is performed without any laundry, on the hottest wash program, adding substances such as white vinegar, 100 grams of citric acid, a detergent with bleaching properties, or a proprietary washing machine cleaner. The first injection of water goes into the sump so the machine can be allowed to fill for about 30 seconds before adding cleaning substances. As energy and water efficiency were regulated, and a selling point, but effectiveness of rinsing was not, manufacturers tended to reduce the degree of rinsing after washing, saving water and motor energy. This had the side-effect of leaving more detergent residue in clothes. Insufficient rinsing can leave enough detergent in clothes to affect people with allergies or sensitivity. Washing machines display an EU Energy Label with grades for energy efficiency, washing performance and spin efficiency. Grades for energy efficiency run from A+++ to G (best to worst), providing a simple method for judging running costs. Washing performance and spin efficiency are graded in the range A to G. However, all machines for sale must have washing performance A, such that manufacturers cannot compromise washing performance in order to improve the energy efficiency. This labeling has had the desired effect of driving customers toward more efficient washing machines and away from less efficient ones. Top-loading and front-loading clothes washers are covered by a single Federal Standard regulating energy consumption. The old Federal Standard applicable until January 1, 2011 included no restriction on water consumption; washer manufacturers faced no legal restriction on how much unheated rinse water could be used. Energy consumption for clothes washers is quantified using the energy factor. But after new mandatory Federal Standards were introduced, many US washers were manufactured to be more energy- and water-efficient than required by the federal standard, or even certified by the more stringent Energy Star standard. Manufacturers were found to be motivated to exceed mandatory standards by a program of direct-to-manufacturer tax credits. In the North America, the Energy Star program compares and lists energy efficient clothes washers. Certified Energy Star units can be compared by their Modified Energy Factor (MEF) and Water Factor (WF) coefficients. The MEF tells us how many cubic feet of clothes are washed per kWh (kilowatt hour) and is closely related to the configuration of the washer (top-loading, front-loading), its spin speed and the temperatures and the amount of water used in the rinse and wash cycles. The historically laborious process of washing clothes (a task which often had a whole day set aside to perform) has at times been labelled 'woman's work'. In 2009 L'Osservatore Romano published an article entitled "The Washing Machine and the Liberation of Women" that was controversially meant to demonstrate that the washing machine had done more for the liberation of women than the contraceptive pill and abortion rights, which are often associated with Women's Day. The article shocked Italian feminists and provoked criticism from Opposition MP Paola Concia. A study from Université de Montréal, Canada presented a similar point of view. Swedish statistician Hans Rosling suggested that the positive effect the washing machine had on the liberation of women, makes it "the greatest invention of the industrial revolution". For instance, historian Frances Finnegan credits the rise of this technology in helping undercut the economic viability of the Magdalene Asylums in Ireland, later revealed to be inhumanly abusive prisons for women with often little opportunity for release, by supplanting their laundry businesses and prompting the eventual closure of the institutions as a whole. Before the advent of the washing machine, apart from watercourses, laundry was also done in communal or public washhouses. Some argue that the washing machine led to a species of social isolation of women, as Camille Paglia. In India, Dhobis, a caste group specialized in washing clothes, are slowly adapting to modern technology, but even those with washing machines still hand wash garments as well. Since most modern homes are equipped with a washing machine, many Indians have dispensed with the services of the dhobiwallahs. Due to the increasing cost of repairs relative to the price of a washing machine, there has been a major decline in the number of washing machines being repaired, rather than discarded, when faulty, to the detriment of the environment. The cost of repair and the expected life of the machine once repaired often make the purchase of a new machine seem like the better option. Different washing machine models vary widely in their use of water, detergent, and energy. The energy required for heating is large compared to that used by lighting, electric motors and electronic devices. Because of their use of hot water, washing machines are among the largest consumers of energy in a typical modern home. LG including Gold Star and Kenmore. SMEG: including brand names SMEG worldwide and White Westinghouse in Europe. ^ a b "History of Washing Machines". About.com Inventors. Retrieved 2012-05-24. ^ "Deutsches Museum: Schäffer". Deutsches-museum.de. Retrieved 2011-12-12. ^ "History of Washing Machines up to 1800". Oldandinteresting.com. 2011-04-14. Retrieved 2012-06-01. ^ Washing Machine - MSN Encarta. Archived from the original on 2009-10-31. ^ "Washing Machine Facts, information, pictures | Encyclopedia.com articles about Washing Machine". Encyclopedia.com. Retrieved 2012-06-01. ^ "1862 London Exhibition: Catalogue: Class VIII. : Richard Lansdale". GracesGuide.co.uk. Retrieved 2010-06-19. ^ Womanlist – Marjorie P. K. Weiser, Jean S. Arbeiter – Google Books. Books.google.com. Retrieved 2012-10-14. ^ Women, Aging, and Ageism – Evelyn R Rosenthal – Google Books. Books.google.com. Retrieved 2012-10-14. ^ "Electric Washing Machine the Latest. Housewives can do Washing in one-third the Time," Des Moines Daily Capitol, November 12, 1904, p. 13. ^ "Photograph of Bendix' automatic washing machine, 1937". Retrieved 2012-06-01. ^ A. S. Campbell Co. "Your Next Washing Machine (or is it? ), advertisement for Campbell wartime production". Retrieved 13 September 2012. ^ Dyson, James. "Inside Dyson: CR01". dyson.co.uk. Retrieved 13 July 2012. ^ "SANYO Announces the World-First*1 Drum Type Washing Machine with ‘Air Wash’ Function". Sanyo.com. Retrieved 2012-06-01. ^ Poulter, Sean (9 June 2008). "Spin dry: The washing machine that needs just one cup of water". Daily Mail. ^ "Production. Household washing machines — Country Comparisons - world map". statinfo.biz. Retrieved 19 January 2015. ^ "Laundry Products Research". March 2008. ^ "Best Front load Washers". Retrieved April 2014. ^ a b "Why can’t modern washing machines rinse properly?". Whitegoodshelp.co.uk. Retrieved 2010-02-16. ^ "Allergy Tips and Advice for Household Cleaning". Allergyuk.org. Retrieved 2010-02-16. ^ "Washing machine usage (part 2)". Washerhelp.co.uk. Retrieved 2010-02-16. ^ "DIY washing machine repairs (Part 4)". Washerhelp.co.uk. Retrieved 2010-02-16. ^ "Clothes Washers Key Product Criteria". Energystar.gov. Retrieved 2012-06-01. ^ "ENERGY STAR Qualified Clothes Washers". Energystar.gov. 2011-01-01. Retrieved 2012-06-01. ^ "Tax Incentives Assistance Project". Energytaxincentives.org. Retrieved 2012-06-01. ^ Galeotti, Giulia (8 March 2009). "Metti il detersivo, chiudi il coperchio e rilassati". L'Osservatore Romano (in italiano). Retrieved 25 July 2011. ^ "Washer liberated women, Vatican says". Web.archive.org. 2009-03-12. Archived from the original on 2009-03-12. Retrieved 2012-06-01. ^ "Fridges And Washing Machines Liberated Women, Study Suggests". Sciencedaily.com. 2009-03-12. Retrieved 2012-06-01. ^ "Hans Rosling and the magic washing machine". TED Conferences. December 2010. Retrieved 17 November 2011. ^ Finnegan, Frances (2004). Do Penance or Perish: Magdalen Asylums in Ireland. Oxford University Press. ^ "As mulheres sufocam os homens". Revista Veja, issue 2,363, 5 March 2014 (in Portuguese) . ^ Rebecca Bundhun. "Dhobi tradition far from washed up". thenational.ae. Retrieved 19 January 2015. ^ Photos (19 January 2015). "Indian laundry men spin out decades-old tradition". NBC News. Retrieved 19 January 2015. ^ "Are new washing machines only built to last 5 years?". Washerhelp.co.uk. Retrieved 2012-06-01. ^ "Alliance website". Retrieved 2013-11-05. 40x40px Wikimedia Commons has media related to Washing machines. 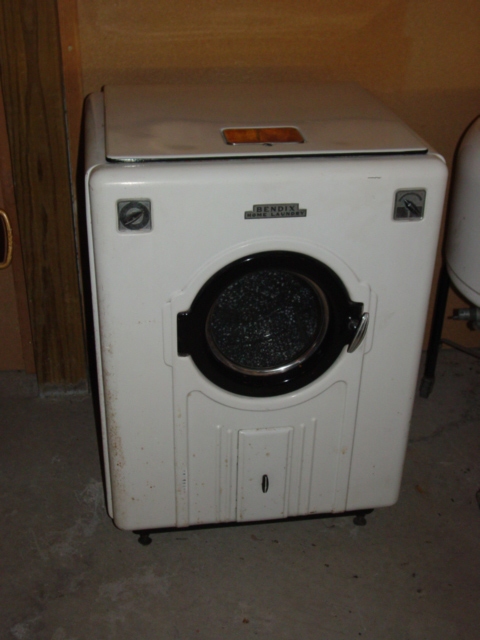 40x40px Wikisource has the text of the 1920 Encyclopedia Americana article Washing Machine.